Chuck Klosterman Explores Villainy with Kanye, Batman, LeBron: What Makes Someone a "Bad Guy"? Chuck Klosterman has been thinking and writing about culture for over a decade. He's written several essay collections, nonfiction and novels, and for the past few years, he's written the weekly column as the "Ethicist" for the New York Times Magazine. In his newest book, he takes on, well… bad guys. Klosterman looks at athletes, musicians, politicians, vigilantes and even fictional characters who have been framed as villains -- from Bill Clinton to Darth Vader to LeBron James -- and tries to deconstruct the stories we tell about them in I Wear the Black Hat: Grappling with Villains (Real and Imagined). The book is now available in paperback. Klosterman tells us how we've got Machiavelli all wrong, why Batman works great as a fictional construct but fails as a real person, and why it's so easy to villainize professional athletes. Film critic Karina Longworth invites you to time travel back to the early 1980s to explore the punk rock dreams of young girls in Smithereens and We are the Best!. 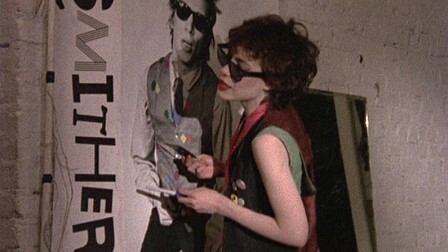 She suggests checking out Smithereens from 1982, a kind of prequel to director Susan Seidelman's Desperately Seeking Susan, for the time capsule of 1980s fashions and New York City street scenes. If you want a pure breath of fresh air and fun, go with 2013's We Are The Best!, a Danish-Swedish film from director Lukas Moodysson. An adaptation of a comic book authored by his wife Coco, the movie follows a crew of young girls in Stockholm who found respite from the cruelties of middle school in punk rock. Longworth hosts the podcast You Must Remember This, which explores forgotten bits of Hollywood history. Hey You, Let's Party: Andrew WK and the Party Philosophy of "I Get Wet"
This week, Phillip Crandall takes on Andrew W.K. 's 2001 debut, I Get Wet. At the time of its release, the album got a lot of flack. A lot of people just weren't sure what to make of it. 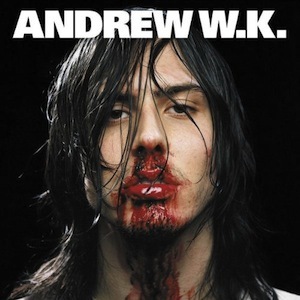 The cover art was a gory photo of Andrew with blood running down his face, the song titles and lyrics were absurdly simplistic. A critic at Pitchfork gave it the abysmal rating of 0.6 out of 10. Ten years later, Pitchfork reviewed the reissued record, and gave it an 8.6. What gives? Well, Crandall says the album has a purpose and a message that endures. Phillip Crandall is the author of a critical analysis of I Get Wet for Bloomsbury's 33 1/3 series. Lots of recurring characters and sketches from Saturday Night Live have spawned feature films. Some of them are great, and some don't hold up well for 90 minutes of screentime. 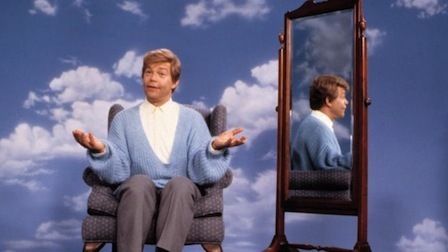 Jesse takes a look at the Al Franken vehicle Stuart Saves His Family, because "I'm good enough, I'm smart enough, and doggone it, people like me!"